Are you totally crazy about bacon? 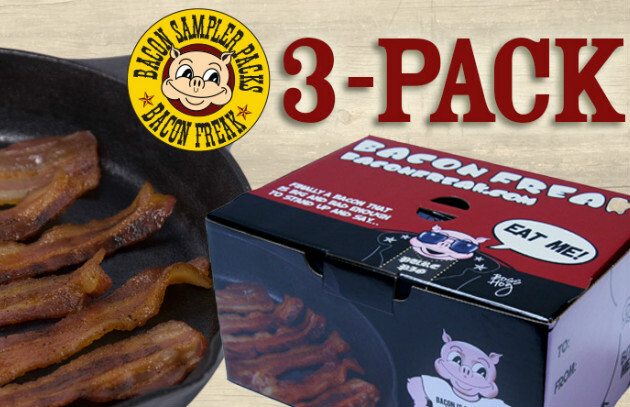 Enter to win a “Bacon Is Meat Candy” 3-Pack Bacon Sampler from Bacon Freak. One lucky winner will get a pack of three gourmet bacons that Bacon Freak features in its Bacon of the Month Club shipments. It comes with the ever-popular “Bacon Is Meat Candy” black t-shirt and a playfully designed Bacon Freak Gift Box.